You've heard that statement before haven't you? Heck, you may have even said it a few times yourself. I know I have. And it "is" true for the most part, but it isn't a dyed in the wool fact of life. Sure, you could get darn near any shot with any camera if you are competent enough, but ultimately it comes down to using the right tool for the job. Case in point. This photo of my son could have been done with pretty much ANY camera out there. $100 point and shoot up to a medium format monster. But it may have taken hundreds of shots to get this one. 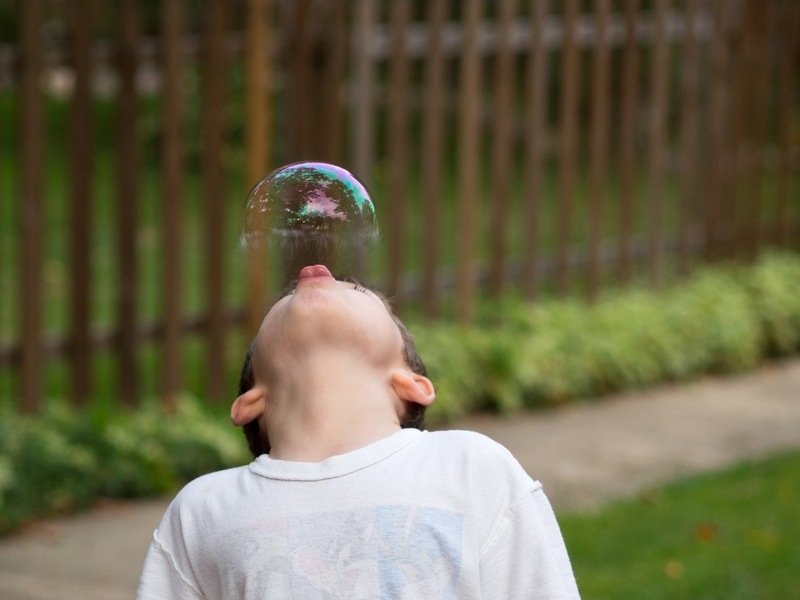 Look closely.......The bubble is half way through the process of collapse from being popped by my son's tongue. This was made possible by the 9 frames per second burst rate on the Olympus OM-D. The shallow depth of field is a product of shooting the mZuiko 45mm f/1.8 wide open at f/1.8. To get the same result on say a point and shoot you'd have to be right up on the subject (probably in macro mode) to get a shallow DoF so as to isolate the subject from the background. And how would you catch that burst? Well, like I said, it may take hundreds of shots and probably a truckload of luck. How many takes for me with this set up? 2. I got it in the first take, but didn't like the results. Tried once more...And nailed it. This was the 4th frame out of 12 taken. Right tool for the job. Keep that in mind when you head out to shoot. Sure you can do it with "any" piece of equipment, but why not use the right piece?